Properties for sale in Brittany, France - AHIB-1-BB9976-G Erquy Area 22240 : Super house and gîte complex close to the coast (9 bedrooms) on 2670m2 garden. AHIB-1-BB9976-G Erquy Area 22240 : Super house and gîte complex close to the coast (9 bedrooms) on 2670m2 garden. This traditional breton longhouse with three gîtes is a super opportunity, just five minutes from the beautiful beaches of Sables d'Or and Erquy and within easy reach of all commodities, transport links, Dinan, St Malo. The property consists of a main family house and three gîtes, ready furnished and fully equipped - all ready to let. The main house comprises on the ground floor; entrance hallway, spacious living and dining room with period stone fireplace, fully fitted oak kitchen , utility room, downstairs bedroom, shower room and wc. On the first floor a landing leads to three double bedrooms and a child's bedroom or dressing room. Two of the gîtes comprise; living and dining room with kitchen, wc on the ground floor plus two bedrooms and shower room with wc upstairs, the third gîte comprises living and dining room with kitchen on the ground floor plus double bedroom, landing and shower room with wc upstairs. 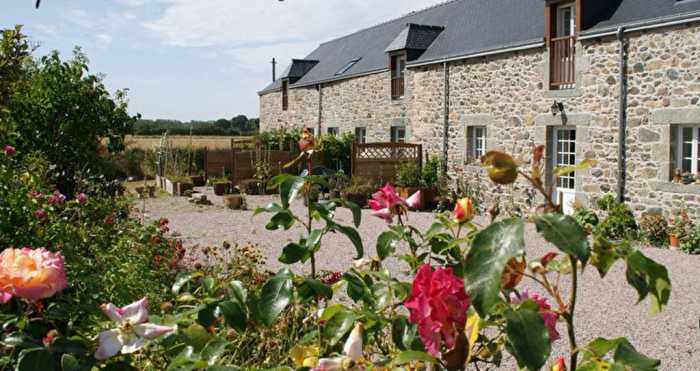 Each gîte has a private garden and there is a laundry and boiler room, double garage, attractively landscaped gardens with potager and orchard. A super opportunity in a sought after location !